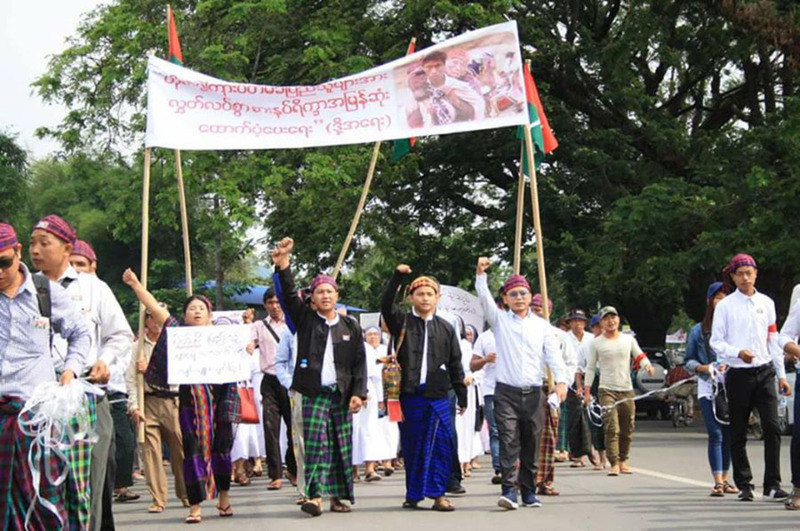 Kachin youths lead a demonstration in Myitkyina on April 30 to demand the government help Kachin villagers trapped in the jungle by recent fighting. Abraham Lincoln, the 16th president of the United States, once asserted that a government is “of the people, by the people, and for the people”. In so doing, he firmly underlined the value of democracy and the characteristics of a democratic government. And in the 150 years since he uttered his famous phrase, these values and characteristics have spread and been adopted by people in countries across the globe. Myanmar is among the countries that are attempting to adopt such a democratic culture. After many years of direct military rule, Myanmar in 2010 held a general election, which is a core element of a democratic culture. The military regime handed over power to an elected government led by Thein Sein in 2011. In 2012, the international democracy icon Daw Aung San Suu Kyi and her National League for Democracy contested a by-election and she became a Member of Parliament. In November 2015, the people of Myanmar again cast their votes for the NLD, hoping the party could make big changes, based on its campaign slogan, “Time for Change”, which motivated voters to come to the polls in huge numbers. In particular, members of the ethnic minorities, who had suffered from civil war for many decades, cast their votes for the NLD, putting high expectations on Daw Aung San Suu Kyi to end the fighting, restore the Panglong Agreement, and bring peace to the country. Sadly, the country has fallen deeper into conflict and the party’s slogan, Time for Change, is seldom heard. On top of the economic downturn, the decay of the freedom of press and religious freedom, Myanmar’s civil war continues and seems unstoppable, in spite of the numerous negotiations that have taken place. Due to the recent escalation of fighting between the Tatmadaw and the Kachin Independence Army, thousands of innocent civilians have been forced to flee from their homes, and many remain trapped in the jungle. To help these desperate people, Christian leaders, hundreds of civil society organizations and displaced people sent letters of appeal to President Win Myint, Daw Aung San Suu Kyi, the Army commander-in-chief and other leaders. In response to these letters, the country’s leadership did nothing. This inaction led to a mass demonstration by Kachin youths in Myitkyina on April 30, 2018. 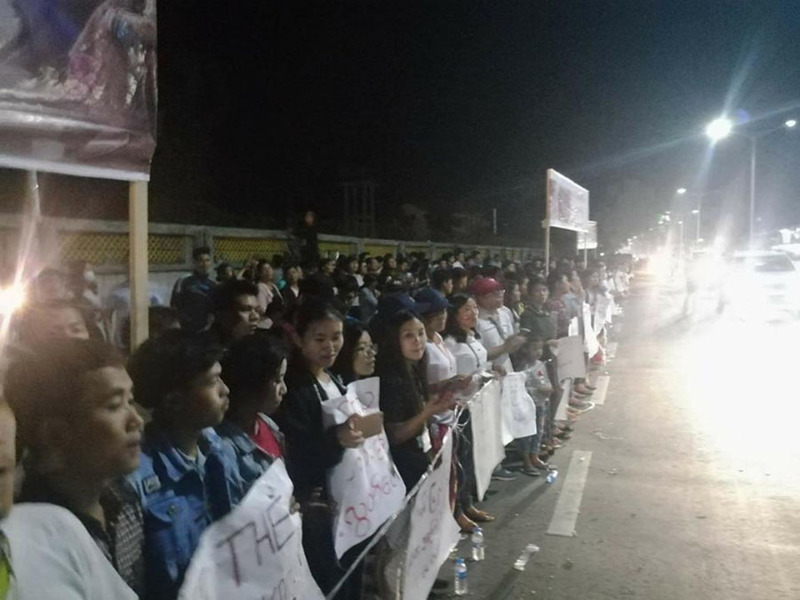 It was not the first time people had gathered to demand something be done to help the trapped villagers; there had been a similar demonstration in Myitkyina on Feb. 5. But this time, the protest spilled over into other states, divisions, and even foreign countries such as the U.S. and Japan. Not only were the appeals for help shunned, but the authorities launched a crackdown against the demonstrators, arresting many and charging them with unlawful acts. According to data collected by the Institute for Strategy and Policy-Myanmar, 45 demonstrators are being sued by the police and Tatmadaw on the grounds of violating the country’s peaceful assembly, freedom of expression and defamation laws. It is understandable that the civilian government can do little to rein in the police force as it is controlled by the Tatmadaw via the Ministry of Home Affairs. Thus every action conducted by the police might come on the orders of the Tatmadaw. However, the government including President Win Myint and de facto leader Daw Aung San Suu Kyi, and elected members of Parliament should not keep silent. As the leaders elected by the citizens of Myanmar, it is their duty to speak out. The government — meaning both the members of Parliament and the cabinet — depends on the people, and if a government turns a blind eye and shuts its ears to the people’s demands, it is inevitable it will eventually be overthrown. Thus, the ruler (government) has to govern with the interests of the people in mind. As the government was elected by the people, and thus it was of the people, it also must be “for the people”. The elected government should stand up with the people for the sake of democracy. In a nutshell, the people of Myanmar should be cherished, and never abused either by the government or Tatmadaw. The people form the basis of the country. If this basis is stable, the country will be sure to find peace. But if the government neglects the people’s demands and behaves like a totalitarian regime, these core values of a democratic government — “of the people, by the people and, more importantly, for the people” — will not nest in the country, but fade away.